Requirements: Elinext received a task for the development of an interactive media website to attract artists and regular people and encourage them to build a virtual wall with their graffiti. 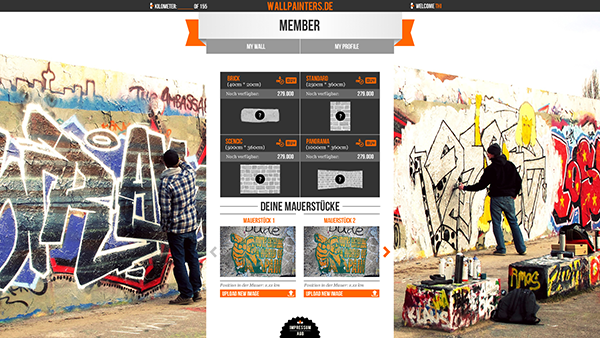 Wallpainters.de should be a place where people can show their paintings, share their inner world or just tell something to each other by drawing. 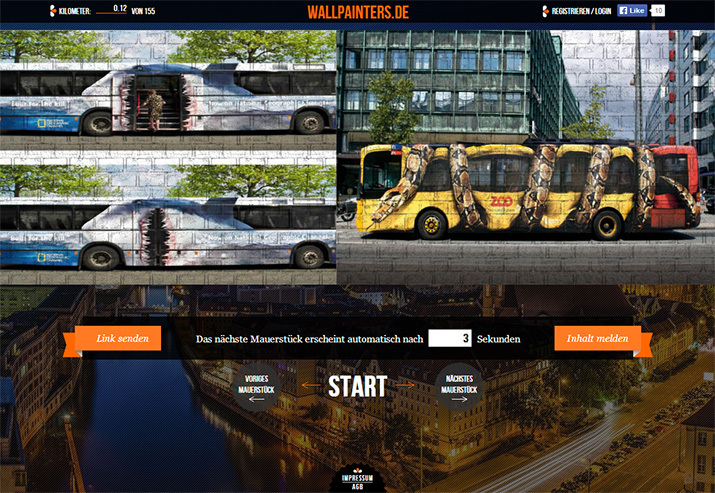 Another important feature of the website is to give capabilities to publish commercial advertisement along with user’s painting. The website should be integrated with a payment system, should have pricing plans and user friendly UI. Also an admin panel is required for convenient website maintenance. Challenge: Since the website major audience is people who enjoy drawing the design should be attractive, on the other hand the design should be related to the urban culture. Another important thing was to illustrate the wall where user’s painting were placed. Elinext had to achieve realistic wall view, good transition between wall parts and optimization for various screen sizes. Elinext developers had to develop an algorithm for realistic rendering of paintings also taking into account performance issues. Solution: The website was developed in ASP.NET using HTML5 and jQuery for a client side. 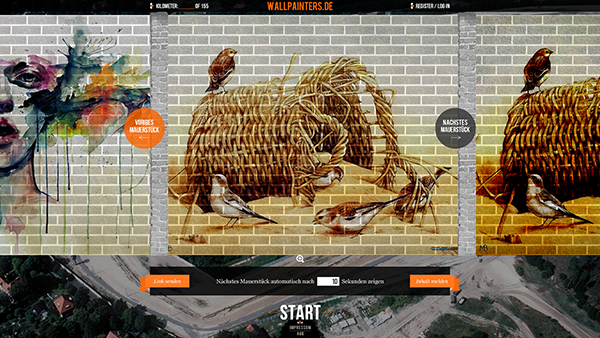 Elinext developers have developed the algorithm which uses “mask” layers for rendering the wall. Elinext designers had to create different textures and mask layers for realistic wall rendering. Paypal has been chosen as a payment interface for purchasing advertisement areas. All the transactions are secured with SSL. Results: As a result Elinext has released the website which provides good user experience, performance and monetization capabilities. 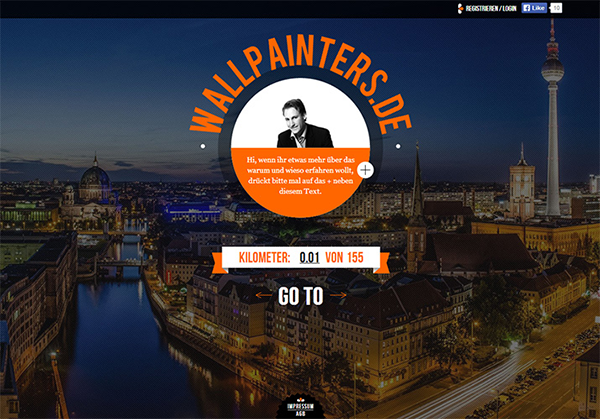 The developed website engine can be used for various wall sizes and types.